Richard D. Beller – Ringenberg and Beller P.C. 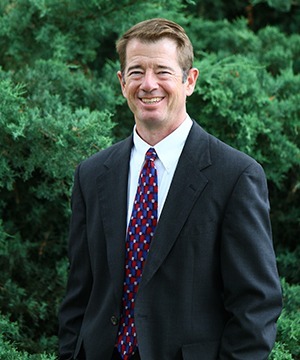 Richard Beller offers our clients more than 23 years of experience as a commercial litigator. He has tried cases in numerous state courts in Colorado and California, in bankruptcy court, and in arbitration. Richard's primary focus is business litigation, including partnership disputes, breach of contract and other commercial disputes, investment fraud, banking, real estate, mechanics’ lien and construction litigation, and creditor representation in bankruptcy proceedings. He also represents employers in employment matters. Richard enjoys handling civil appeals, and has written appellate briefs to the California Supreme Court, the U.S. Fifth Circuit Court of Appeals, the U.S. Fourth Circuit Court of Appeals, the Colorado Court of Appeals, and the U.S. Tenth Circuit Bankruptcy Appellate Panel. Richard also advises the firm’s clients regarding business, banking, and real estate transactions. He assists clients with purchase and sale agreements, loan agreements, workouts, commercial leases, setting up business organizations, and real estate investments, including foreclosure investments. Before joining our firm in 2002, Richard practiced in Los Angeles with O'Melveny & Myers, LLP from 1994-2001, handling a wide variety of complex commercial litigation, including insurance coverage litigation, bankruptcy litigation, mass tort lawsuits, corporate fraud, antitrust, toxic tort litigation, and intellectual property litigation. Successfully defended commercial breach of contract claim at trial, with a complete defense verdict, as well as victory on counterclaims for unpaid contract amounts. Successfully pursued real estate claims against lender, establishing the priority of seller-carryback loans. Successfully obtained and collected judgment for lost profits from corporate fraud and misrepresentation at arbitration. Helped establish appellate case law protecting churches from interference with employment decisions under the First Amendment to the U.S. Constitution. Seefried v. Hummel, 148 P.3d 184, 188 (Colo. App. 2005) (Colorado Court of Appeals case affirming trial court’s dismissal of legal claims arising within the “constitutionally protected context” of the First Amendment of the United States Constitution because they occurred during a church meeting that concerned the investigation, discipline and discharge of former pastors). Helped define early appellate case law regarding the arbitration of bankruptcy disputes under the Federal Arbitration Act. In re Nat'l Gypsum Co., 118 F.3d 1056 (5th Cir. 1997). Helped establish appellate case law in California defining the attorney-client privilege of trustees. Wells Fargo Bank v. Superior Court, 22 Cal. 4th 201, 206, 91 Cal. Rptr. 2d 716, 720, 990 P.2d 591, 594 (2000). Richard lives in Fort Collins with his wife, Heather, who is also an attorney, and their four children. In his spare time, Richard enjoys spending time with his family in the outdoors. He especially enjoys bouldering, rock climbing, mountain biking, and skiing. 1994 -- University of Texas School of Law, Juris Doctor, with honors.